Everyone knows that Moët plays a big part of my life as it’s my favourite champagne especially for celebration. Moët was there when I got proposed, during my birthdays, christmas, anniversaries and many more celebrations. When I first received the invites for Moët & Chandon for their Cinema Classic, I couldn’t be happier. Just imagine, a night out with my favourite champagne together with my favourite idol, Audrey Hepburn, it’s time to drink and be merry. Drinking champagne with strawberries while watching a classic movie like Breakfast at Tiffnay’s in GSC Gold Class was indeed amazing as it’s once in a life time. I arrived on time during the event as I didn’t want to missed anything and I just had to invite one of my bridesmaid Jasiminne who just came back from London to help me prepare for my wedding. I wanted to look more sixties then ever as I love to dress up! 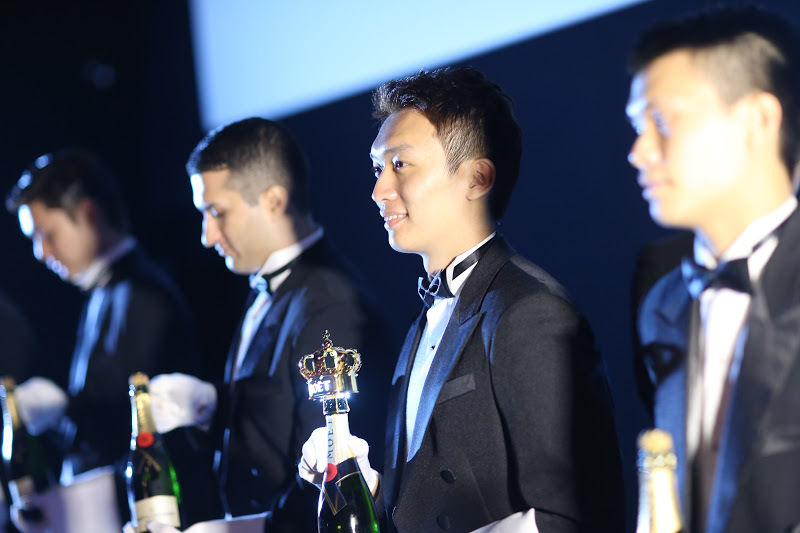 Pearls, Moët & Chandon Champagne and little black dresses were among the backdrop for the glamorous event for the guest as they were ushered in the GSC’s Gold Class Hall. Inside, there were pictures from different magazine and newspaper portraying the young Audrey Hepburn in the movie Breakfast at Tiffnay’s. 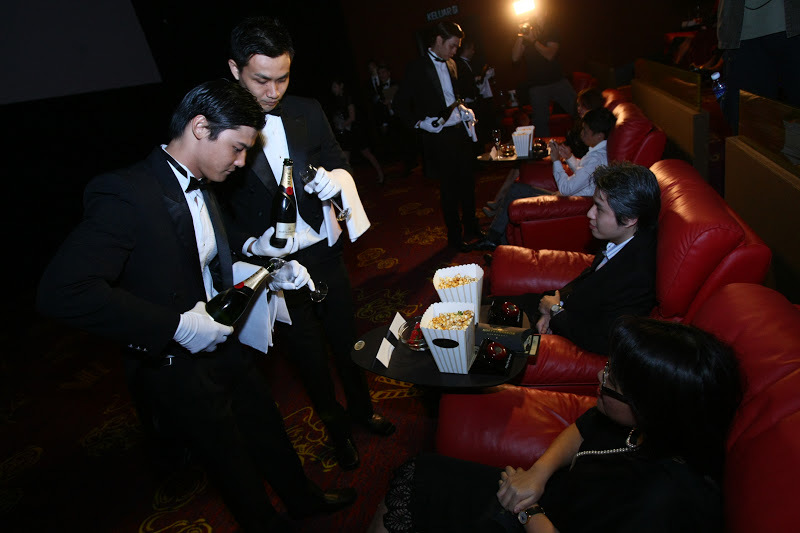 As we mingle and drink free flow of Moët, we were presented with our Gold Class Movie Ticket and a pair of gloves as token of appreciation or like me, I use it to warm my hands in the cinema. I was placed next to Nadia Heng, Miss World 2010 and she’s so lovely and kind hearted. Jasiminne and I had a lovely time talking to her. Debbie Goh, winner of the Golden Awards 2010 Most Popular Actress was definitely inarguably wore the best dress that night! 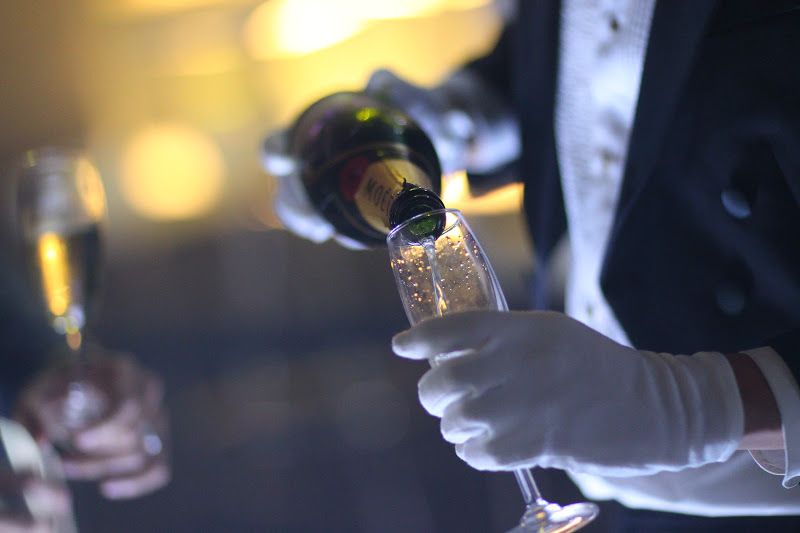 Before the movie started, the butlers came in and presented their Service Ritual which then led to the serving of Moët & Chandon champagne for all the glamorous guest. Then the lights were dimmed and the movie begun! 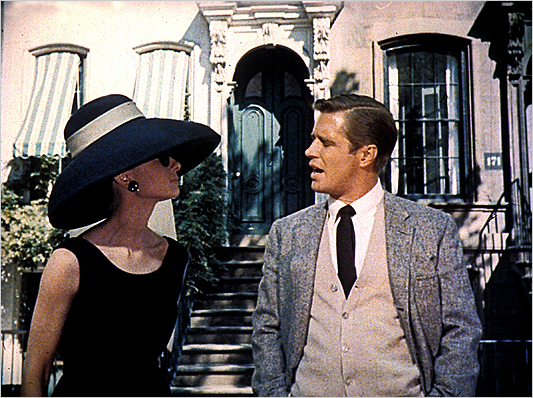 One of my favourite scene was when she sang Moon River, she looked stunning sitting by the window. Her style was simple and elegant, that is why I chose Breakfast at Tiffnay’s as my wedding theme which I thought was just perfect. As it’s a tradition that has been carried out at the Oscars, the Golden Globes, major film festival and numerous international film festivals. After the movie screening, it was time for the after party at Bianco,Vertigo! Will Quah was the host of the night where he leads the guest to the white glittery space just like the rendition of Hey Big Spender from the musical Sweet Charity. We were also entertained by a bunch of dancing girls who performed during the party. Also, if you so happen to purchase a bottle that night, a girl will present the bottle to you with a little dance movement along with a huge sparkle on the bottle cap. Personalities like Peter Davis, Hannah Lo and many more were there too all dressed up with their interoperation of ‘ Sixites Red-Carpet Glamour ‘ according to the dresscode. The smashing night ended with a lucky guest, Stephanie Kuan who won the Most Glamorous Award and was presented with a magnum of Moët & Chandon. Lucky girl indeed! As it was the finale, the Managing Director of Moët Hennesy, Matthieu Duchemin did a Celebratory Ritual, which is the popping of the cork from a magnum Moët & Chandon as champagne showers of glittery confetti made its way down to the dancefloor and I knew it was the perfect ending to a perfect night out. 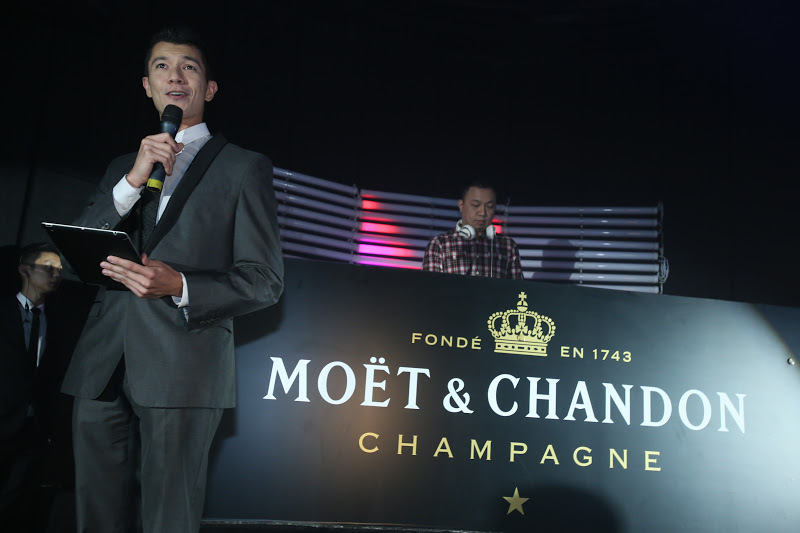 Here’s a toast to Moët & Chandon! 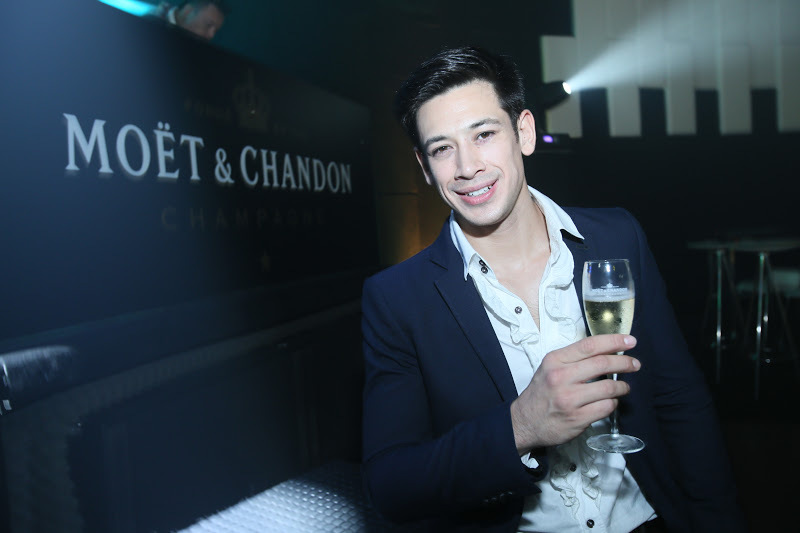 Spend the night out with Moët and let’s get bubbly of course!